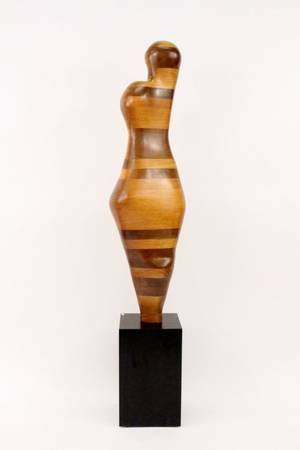 Modernist style life-size figural sculpture in wood, biomorphic in form, the wood is segmented and laminated. 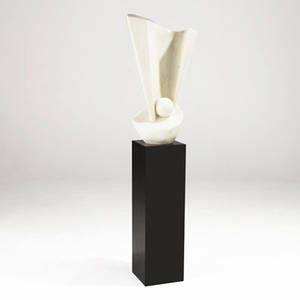 Presented and mounted on a black wood rectangular plinth. 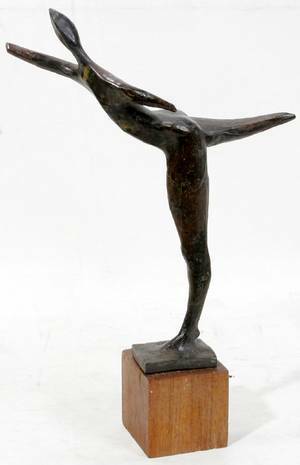 Sculpture height 50", width 13.5". 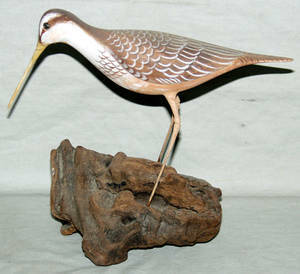 Plinth height 18", width 11". 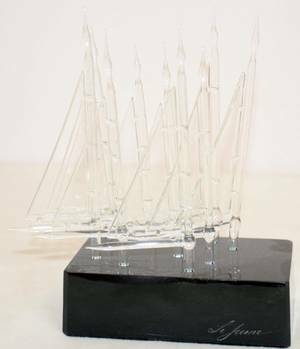 Total height 68". 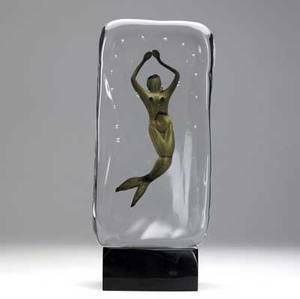 080530: WOOD SCULPTURE ON DRIFTWOOD BASE, "WOODCOCK"
M. rossi murano glass block sculpture with submerged figure of a mermaid on black base, 1985. base signed m. rossi murano 85. with base: 18" x 7 1/2"
Peter hurd; neon and brass sculpture on black lucite base; 15"
Modern white marble abstract sculpture on black laminate pedestal base, 1973. signed tewi 73. marble: 29 1/2" x 12 1/2" x 11 1/2"; pedestal: 34 1/2" x 10 1/2" sq." 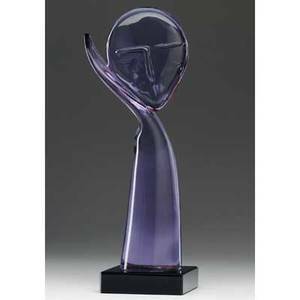 R. auotza figural glass sculpture in lavender, on black base. 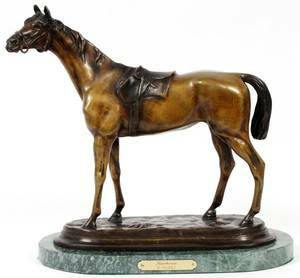 etched signature. 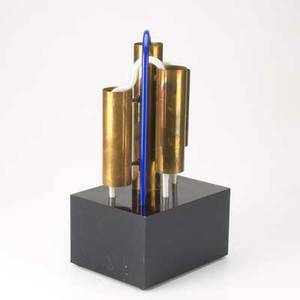 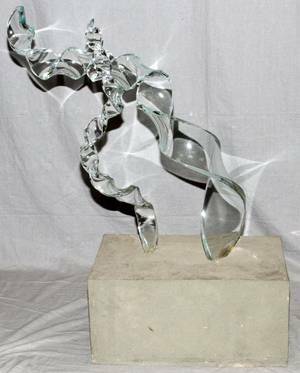 12 1/2" x 4 1/2"
051572: CRYSTAL SCULPTURE ON BLACK PLASTIC BASE, H 8"